Worth more than half a trillion US dollars, Amazon has not only captured the Zeitgeist of the early 21st Century, but reinvented it. Amazon has disrupted every aspect of our daily lives from online retailing to entertainment, from drones to art. It even puts a voice controlled home assistant called Alexa on our kitchen bench to switch on appliances, play music, alarm the security system, and send messages. On command. Possibly the greatest leap forward in disruptive retailing, however, is Amazon Go. Trialled first in Seattle, Amazon Go is a physical supermarket that has no checkout. You just swipe your smartphone on entry, take whatever you want from the shelves, and go. So, while regular supermarkets have been trying to reduce checkout wait times, Amazon eliminated the checkout. Much has been written about the Amazon threat to Australian business with most analysts focusing on risk to the $300 billion retail sector. This needs to be considered in two ways, existing online behaviour and price risk. Amazon succeeds most quickly in new markets where there is already a high level of online shopping. The theory is simple, it’s easier to churn someone from an incumbent to Amazon than it is to convince a consumer to start shopping online from a standing start. Taking grocery as a case in point, the average online behaviour of Amazon-favoured countries is reportedly between 20 and 30 per cent, enabling Amazon to simply transfer online shoppers from existing brands to their Amazon Fresh or Amazon Prime offerings. According to Roy Morgan data, in the past three months 54 per cent of Australians over the age of 14 bought a product online. In that same period, 25 per cent of Australians shopped online for electronics and appliances. That puts Australia right in the firing line for Amazon, and provides a scientific explanation for their intention to enter the Australian market. The real retail minefield is shaped by consumers who are both retail customers and Amazon shoppers. Looking at David Jones over just the past four to six weeks, our data reveals that 30 per cent of its customers also visited Amazon’s site. That means that when Amazon sweeps into Australia in the next couple of months, 30 per cent of David Jones’ customers will be directly in its line of fire. 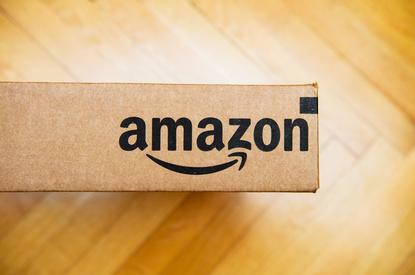 The Roy Morgan Research Institute has identified 68 retail brands with more than 20 per cent of their customers also shopping online at Amazon. A small selection from that list is David Jones (30 per cent); Zara (28.2 per cent); Dymocks (27.2 per cent); Officeworks (25.2 per cent) and Toys R Us (24.5 per cent), as well as Ikea (24.5 per cent); Spotlight (24.4 per cent); JB Hi-Fi (23.9 per cent) and The Good Guys (23.2 per cent). Delving deeper, the list also contains Myer (22.4 per cent); Priceline (21.7 per cent) and Cotton On (21.5 per cent), alongside Harvey Norman (21.5 per cent); Target (21.2 per cent) and Bunnings (20.7 per cent). Both JB Hi-Fi and Harvey Norman have publicly predicted that they will be able to compete with Amazon on price, but given their high-margin business model this looks like being an unrealistic stretch. The inconvenient truth is that Amazon does not rely on gross profit margin for success. Its success is driven by volume – and it has that in spades. That’s what led founder Jeff Bezos to famously declare, “Your margin is my opportunity”. So how does that play out in the Australian context? Last year Amazon’s gross profit margin – in basic terms, the mark-up on products they sell – was a tiny 6.8 per cent. And still JB Hi-Fi with a gross margin of 21.9 per cent and Harvey Norman with 31.4 per cent believe they can compete on price. In America, Walmart, the retail giant famous for offering the cheapest prices across its myriad grocery and general merchandise categories, believed it could compete with Amazon on price. A recent US study by Business Insider found that over a diverse basket of 25 grocery and electronics products, Amazon was US$161.05 cheaper than Walmart. And Amazon keeps gazumping Walmart on delivery cost and speed. Unimaginable just a few years ago. Back in Australia, Myer has a gross profit margin of 42.1 per cent and David Jones 37 per cent – high levels of risk against a very lean Amazon. In the supermarket category, Woolworths has a gross margin 26.8 per cent and Wesfarmers (Coles) 31 per cent. Australian retailers also have high operating costs. Woolworths and Coles, for example, spend more than 24 per cent of sales revenue on leases, wages, marketing, etc. Operating costs for department stores are much higher, typically reaching 40 per cent. JB Hi-Fi is the exception in the Australian retail scene with costs at a low 16.3 per cent of sales revenue. To add insult to Amazonian injury, Australian retailers typically have very low net profit margins – the percentage of each dollar the company earns after deducting all those expenses – as low as 2-3 per cent. As a consequence, their ability to further reduce prices is extremely limited. Price war or no price war, Amazon will beat any Australian retailer on price. And the impact will spread way beyond the retail sector. The Reserve Bank of Australia, for example, needs Australian retail sales to lift before it will raise interest rates, and with the arrival of Amazon that’s not likely anytime soon. There is good news and it largely relates to a human connection and local proximity. Amazon is anything but human and definitely not local. Take Australian supermarket brands as an example. They are in every local neighbourhood and do not have high levels of online shopping. Our data shows that 25.4 per cent of Australians say they would like to but their groceries online. However, only 3.7 per cent actually do. That’s 3.7 percent for supermarkets compared to 30 per cent for David Jones. The local, very human connection with supermarkets and their low levels of online shopping largely quarantines incumbent supermarket brands from Amazon. This also signposts a solution to other retail sectors – do not try to compete on price. You cannot win. Instead, compete on everything that has a human and local connection. Amazon cannot compete with that. Let’s turn our backs on artificial intelligence (AI). That’s Amazon’s universe. Instead, let’s focus on human intelligence (HI). Make that the universe you own.